Here's a 2-tiled version of the Cornerstone Victoriana Velvet Drapes. It will use all the Maxis and custom recolors you have for the original Maxis 1-tile version. 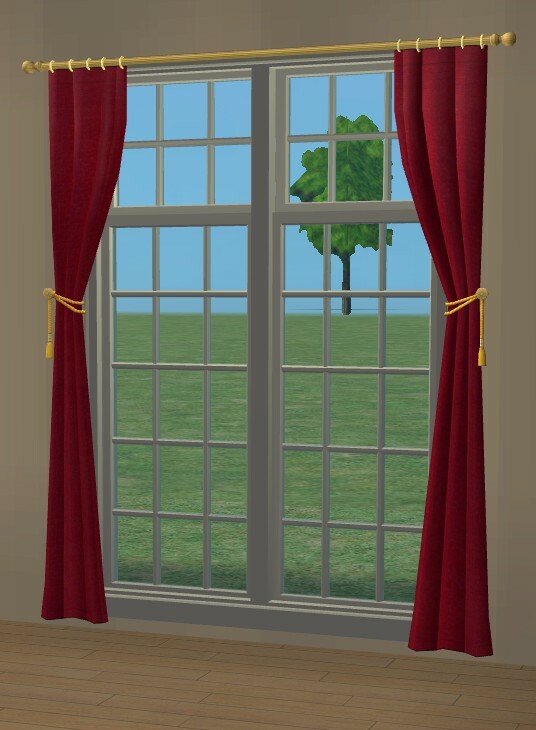 Therefore, to recolor this curtain you have to create a recolor for the original Maxis curtain. This curtain itself can't be recolored. The curtain also works on diagonal walls. 938 people have said thanks to IgnorantBliss for this download.